﻿ Buckeye Winery - Ohio. Find It Here. 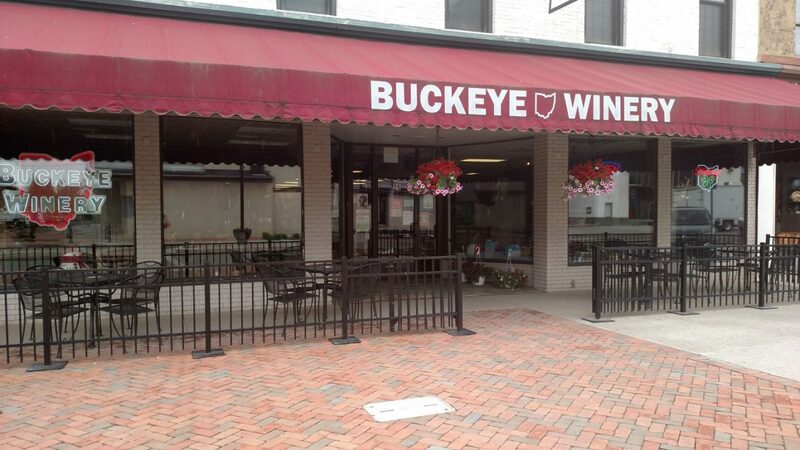 Located in beautiful downtown Newark on the Northwest side of the courthouse square, Buckeye Winery produces and offers more than 60 wines from select vineyards all over the world. Our food menu features our award winning pizzas, paninis, cheese plates, cheese spreads, trail bologna, french bread baguettes, and soft pretzels with our homemade beer bacon cheese sauce. We are a destination where you can make your own wine. Come in and enjoy tastings to find the perfect one. You can then craft your own 6 gallon batch. The total process takes 5-8 weeks and will give you 28-30 personally labeled bottles. The perfect gift for the holidays, graduations, or just to stock your own wine cellar. So come in and enjoy our pleasant atmosphere while listening to entertainment most Saturdays.